Today we release the first update of the new Asphodel Meadows for 1.14! Asphodel Meadows is a survival+ data pack adding new items, including armor, Tools, and accessories to enhance your game play! - A new dimension to explore! - All new textures for items included in the resource pack! - Advancements added to help with progression. To install the resource pack you will need to place the Asphodel Resource Pack in your resource packs folder. (I think you can figure this one out! Once you see this message the data pack is installed and ready to play! - Find the witches, they have secret plans for a new machine! and read your recipe books! PLEASE let me know if you review this and put it on youtube! I'd love to shout you out on this post and see what your feedback is in your review!!! For some reason the "/function asphodel:books" command does not work. I have formatted it correctly in game and everything, but it doesnt work. It tells me it ran the commands but literally nothing happens. This is in the 1.14 version btw. Your Discord link is broken and the folder is missing the resource pack file. Please fix these issues at your earliest convenience. I just downloaded it and the resourcepack is definitely inside. You just have to extract it and add it as a regular resourcepack. Where is the resource pack download? Hi Happy Star, the 1.7 download link has both the resource pack and the data pack in the download :) you'll just need to separate them and put them in the right folders! I have looked into a few things regarding the 1.14 differences though in creative and I'm a little lost on some of the drops used in the trailer for crafting. As I have all 4 unstable essences. I just have no clue how to get 'essence capsules' this time around any ideas what I'm missing? Also the Onyx Block that spawns in the world/crafted with Onyx Ingots, I find the Onyx Ingots back to the block kind of awkward. 9 Blocks = 9 Ingots, 9 Ingots = 1 Block? It does feel a bit of an odd result to get back is all. Other than the 1.13.2 stuff I've learned/had to rewatch my own videos again to remember a few brief things. XD Any brief experiences with the 1.14 version. Any heads up on the 1.14 stuff I should keep in mind that differs? Thanks, I couldn't get past the Onyx book so had no clue otherwise. Wait, the bottom middle slot? Ok I found it, but I meant more so the block to ingot ratio is off. Curse isn't too big on my images, but once I do my video on the 1.14 version hopefully you'll get what I mean. I keep forgetting how to get capsule fragments, and the powered capsules for some reason, sigh me and datapacks. I know how to now, its just it took me a bit to realise how I go about doing it properly. I need to use these more. It was a lot of fun and a lot of 'remembering/looking back at my own video at times though'. 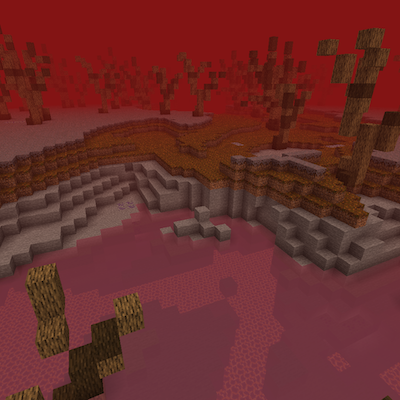 I love the textures though, I'm not one for that sort of thing but they are great. Also the inside of the recipe books (that do have information in side of them) was a nice touch, besides what I already knew, reading them was pretty nice to see and helped out with knowing what to do next. Yeah, it makes sense to be the 1 thing everyone wants. I don't hate the multiple but it just feels right. Even though my experience with multiple lengthy books or all information in 1 have had me unsure about them in mods, but for this datapack I think it works compared to multiple of like 20 or so books to keep track, the tooltip part I can forgive for being different/one less step than opening the book to the right page, but compared to a mod's 1 or 3 they can provide a lot of books to keep track of yes does feel off. I do agree with the book 'focus'. Thanks for the feedback mate! you should join our discord! I could really use your help with new suggestions and new content for this datapack :) you've been a huge help so far! Thanks for letting me know Nathan! i guess that this datapack uses the roof of the nether as the new dimension but what happens if people want to break the roof to make pigman or ghast farms does the generation of the blocks break everything on the roof or prevents any player from going on the roof in the first place? sadly you won't be able to get above the nether anymore - the bedrock ceiling will have a layer of obsidian and then magma above it, so sadly won't work anymore! One thing I'd like to know is, does the looting enchantment play a part when getting components from mobs with the fragmented sword (similar with fortune on the fragmented pick) or when killing the witches for the crafter paper and or if I use those on the witches besides the crafter paper recipe of course, just considering options is all if someone preferred to over the recipe or just for the sake of understanding drop rates really more so? Otherwise I've enjoyed working out what recipe books and tools do and have yet to work out the components and mobs to kill with the sword/use of the pick on things to advance to the portal and actually creating the items after getting so many recipe books repeating at the moment. Thanks so much for checking this out!! unfortunately, Looting and Fortune doesn't play a role yet but it will in a future update as I change across to loot tables for mobs and blocks in the 1.14 version! Completely ok with that even though I'm still getting used to datapacks and them doing similar with this sort of tooltip setup, I'd be ok with a wiki or a new book/book tier or other ideas you have planned, but I'm open to anything you've got. Doesn't surprise me but just thought I'd ask. I'll look forward to it in a new update though.